Last Saturday was undoubtably one of the best days of my life as myself and my best friend Ellie headed on a 12 hour round journey from Cornwall to London for Beautycon. Beautycon is an event bringing bloggers, youtubers and viewers together in what can only be described as a giant, pink, sparkly beauty bonanza. The event has been running in America for the past few years and has always been on my bucket list, so when I saw that the event would be travelling across the pond to London I text Ellie immediately and we jumped at the opportunity to get our hands on some tickets. The event was held at London Olympia and was packed full of things to do and see. There were several companies present including Liz Earle and Benefit who were handing out goodies, providing free makeovers and delicious refreshments. But of course, most people were there for the panels and meet and greet opportunities with some of the biggest YouTubers and Bloggers. 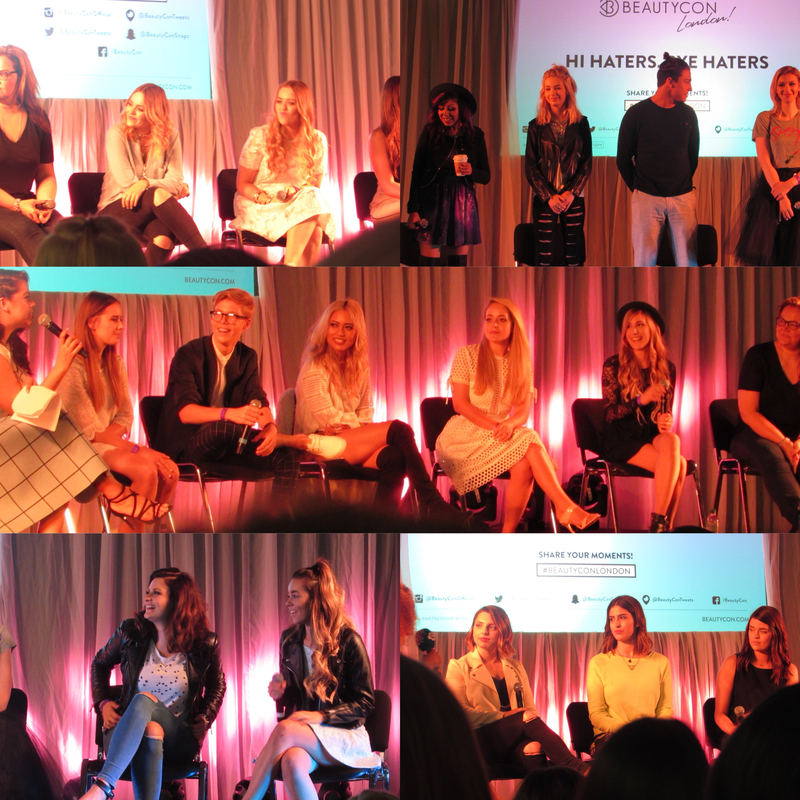 There were so many great panels being held throughout the day all focusing on different topics. Although you could hear and see the panels from around the room, Ellie and I decided to go and sit in the audience for two of them. The 'Beautiful Inside and Out' panel was all about body confidence and how to feel beautiful, Youtubers including Essie Button, Lily Pebbles and ViviannaDoesMakeup were amongst the panelists and there were some really inspiring thoughts shared. Louise (aka SprinkleOfGlitter) was meant to be up next but at last minute was unfortunately unable to attend, however the wonderful team of 'Gleam Girls' set up an impromptu Q&A session which was so fun to watch and it was great to see a load of our favourite people on one panel! The best part of the day was getting to meet some of my favourite Youtubers and Bloggers, it was so lovely to not only get pictures but everybody was so genuine and engaged in conversation too, it really made the day much more personal and memorable. 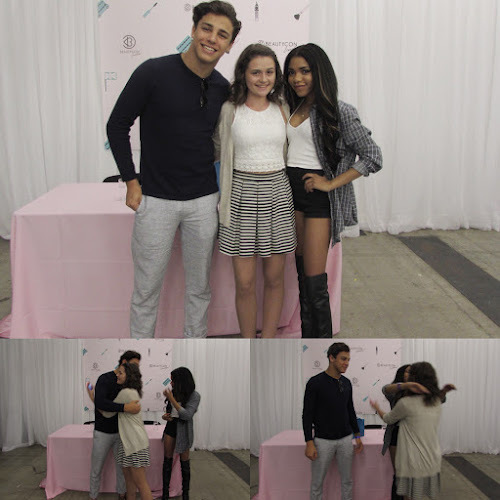 Ellie and I decided to go to 2 specific MeetUps, first was Tanner Zagarino and Teala Dunn. These were the only American YouTubers we got to meet so it was really lovely to talk to them about their time over this side of the pond and not surprisingly the accents became a topic of conversation. 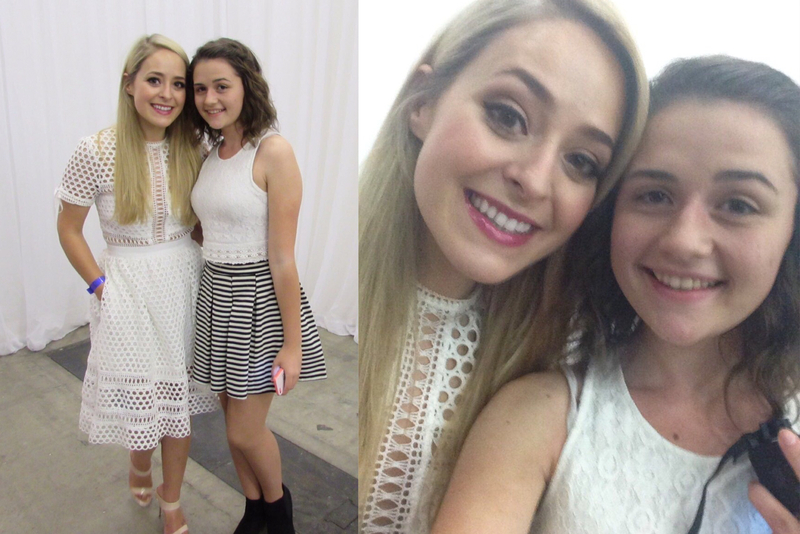 Next up we went to meet FleurDeForce, EmmaPickles and HelloOctoberXO. Ellie and I were both in awe over how beautiful Fleur is and she is such a genuinely lovely lady too, she made time for both a picture and selfie and we had a lovely conversation about clothes after she complemented my outfit - I'm still trying to get over the fact that Fleur wanted to know where I bought my outfit from when she has the most gorgeous wardrobe ever - such a huge compliment! I then went up to Emma (Emma Pickles) who greeted me with a hug and said 'you're so small and cute' which turned me into a flustered mess, she was so sweet and we had a lovely little chat, also can we just take a moment to appreciate her flawless make up, I was in awe! 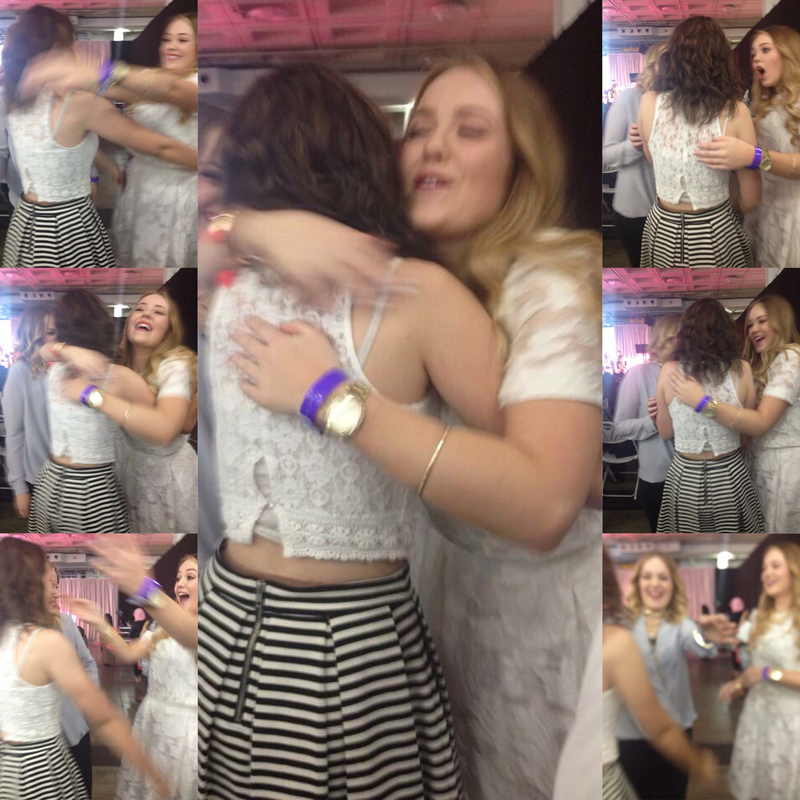 Suzie from HelloOctoberXO was equally sweet and also greeted me with welcome arms. I am still coveting her gorgeous H&M dress and I think I'm going to have to head in to town this week and pick it up. It was so nice to not only get photos with them both but to have the opportunity to have a genuine conversation with them. 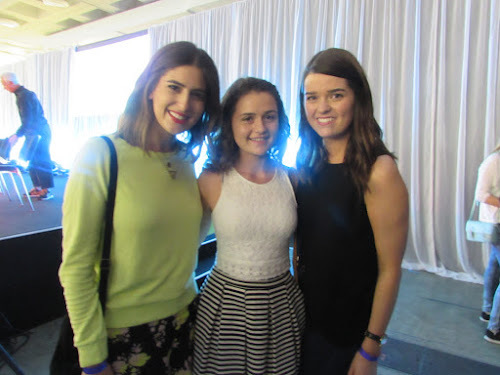 One of the most exciting parts of the day was bumping into people walking around, Ellie and I spotted both Sam Chapman (Pixiwoo) and Niomi Smart walking around and they were both kind enough to stop, giving us chance to have a little chat and photos. My height certainly got the better of me when standing next to Sam and in that moment I forgot the pain in my feet and was so grateful I opted for heeled boots, even though she was still towering above me! Unfortunately we couldn't stay talking for long as more people started crowding around however it was really nice to get the opportunity to meet both Sam and Niomi as neither of us had expected we would get to meet anybody just walking around! 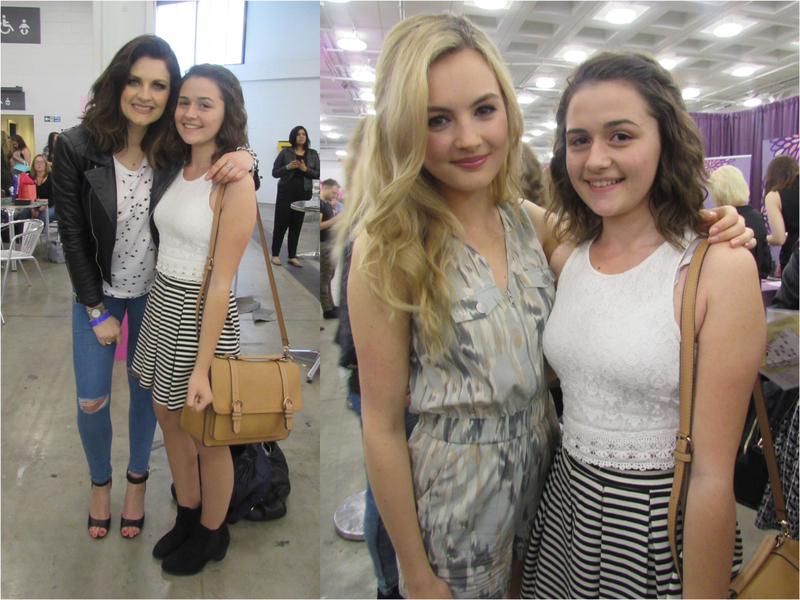 We then met Lucy and Lydia! If you follow me on Twitter you will now how much I love these girls, I definitely find them the most relatable as we are so similar ( I genuinely think I may be their long lost triplet) , so when Ellie and I spotted them amongst a crowd of girls we rushed straight over. 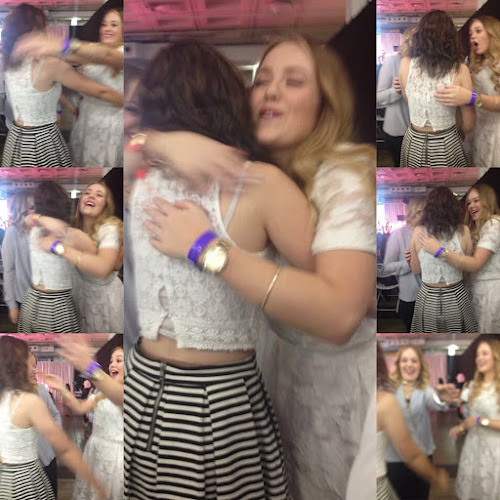 Both Lucy and Lydia greeted me with a huge hug which only made me cry (oops) and after telling them how far we travelled they made sure to make the journey worth it speaking and laughing with me and Ellie for ages about Disney and our trip to DisneyLand. They were both so genuinely lovely and just as bubbly and fun as they are in their videos which was so good to see! I couldn't resist including that picture, look how happy and cute they both are! They seemed so genuinely happy to meet and talk to everyone! Better still, we caught them at the end of the event when we had to leave early and managed to say goodbye with another hug, it was the icing in the cake! 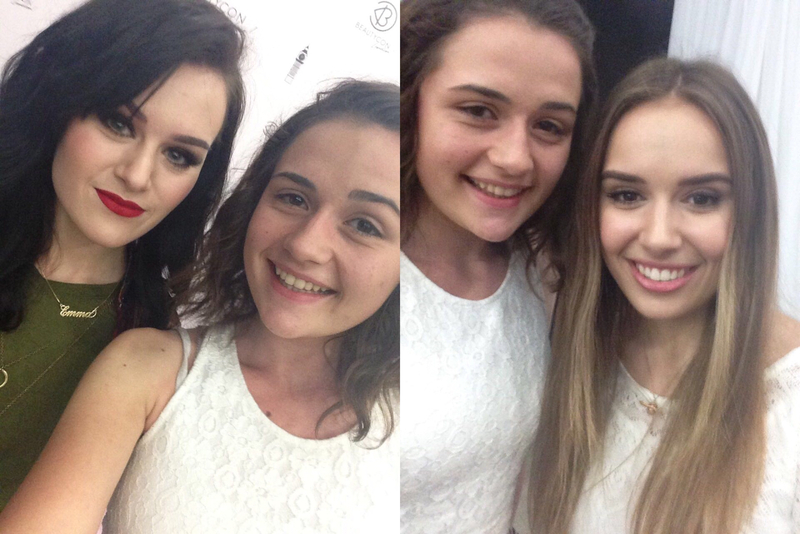 After their impromptu Q&A, we managed to meet Lily and Anna who were also so sweet. The first thing Anna said to me was 'I love your hair' which is still making me smile now, it was such a surreal experience being complemented by some of by biggest influences! 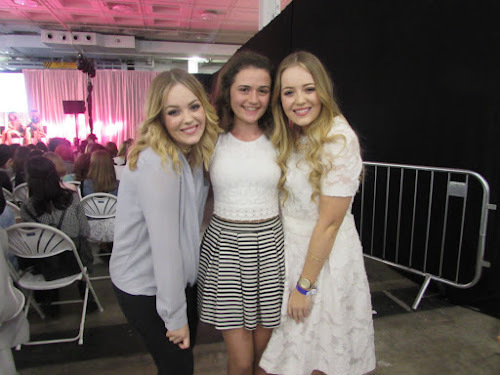 Again we had a nice little chat before getting pictures, Ellie and I were overjoyed that we got to meet Lily and Anna as we knew we would have to leave early to get home and so wouldn't be able to get to their meet up, they even wished us a safe journey home! The whole day was just so surreal as Ellie and I kept saying how weird it was seeing these people we watch through the computer in real life. It was so heartwarming to see that every single person we met was so genuinely lovely and down to earth, they really made time to talk to us which made the whole day so unforgettable. To make the whole day even better, all the people we met then went on to tweet, like and favourite and social media posts which truly was the cherry on top. 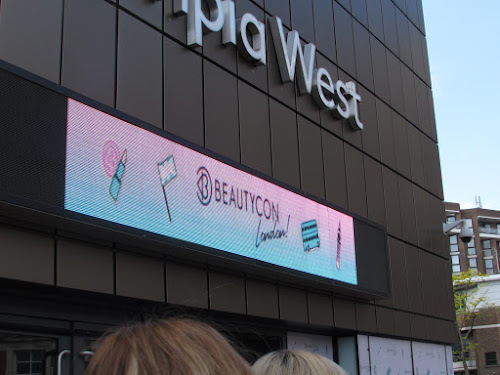 Hopefully BeautyCon will come back again soon because I will certainly be attending and I would recommend it to everybody else! Looks like you had a great time! So lucky to meet who you did! I will hopefully be attending next year! Looks like an amazing day! Fleur looks stunning love her outfit!